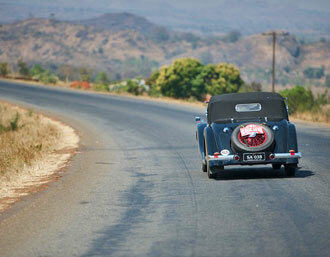 Yesterday: The rolling manicured lawns of the hotel on the outskirts of Mzuzu – it’s the Sunbird should you be stuck for a holiday destination with a difference – is alive with rally chatter amid a smoky atmosphere as we tuck into an outdoor rally barbecue. The hotel is famous for its steak and chips, in fact they reckon they do the best steaks in the whole of Malawi, so this is number one choice for many, otherwise, its yet more fish – Lake Malawi has 350 varieties of fish unique to the lake, not found anywhere else in the world so don’t ask the make and model – or, its yet another chicken breast, but this time chargrilled, with noodles. There is much to talk about. Firstly, we had a fairly hassle-free border, for anyone tackling an overland journey the effort of getting into Malawi is well worth the agro, given its half the paperwork, queues, and hassle of leaving Tanzania, and the roads are remarkably well kept, lined with vast fields through rolling green hills of tea bushes. We left Tanzania behind us with mixed memories – but everyone is in total agreement that the three nights in very remote top-notch luxury lodges out in the bush of the Selous game reserve was a resounding success. 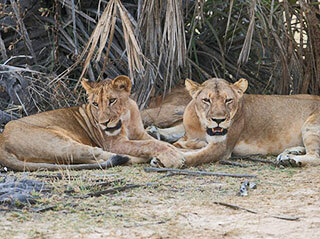 Most us spotted lions, all of us saw plenty of elephants and giraffes, and more besides. To chill out in the comforts of one of these lodges is certainly a great way to begin an African experience. 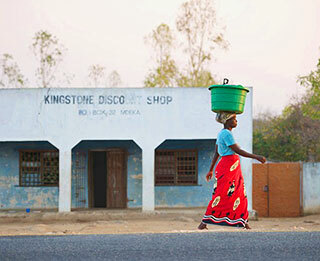 In Malawi, things are different. We are greeted with smiling faces eager to please and make us welcome. The Police probably have the best attitude of all – we were all stunned after driving the excellent winding round around the edge of the lake to find that the hill climb we were hoping for, as a spot of fun, has been all agreed, and the Police have closed down 30 kilometres of twisty mountain road, just for us. Lines of trucks at the bottom, and lines of trucks at the top, with patient drivers, including urgent supplies of petrol, all stood motionless. We had one of the most stunning mountain climbs in the world all to ourselves, and we easily selected 10 kilometres for a Time Trial. The police who carried out all this turned up at our barbecue with the Ministry of Tourism and suggested they would close more roads if only we promised to return with another event. Best result on the mountain was established by the 1938 Alvis Speed 20, who set a benchmark time of 7 minutes, 11 seconds, next best was the Mercedes 280SL of Martti and Pirkko Kikka from Finland, who set 7.29, but this was matched by John and Jean Noble also in a Mercedes 280SL. So, Rudi collects a medal for best Vintageant on the Medal Section, the two Merc drivers are on a dead-equal tie, and best in the 4x4 Category is the Land Rover Disco of Roger Allen and Maggie Gray, who set a time of 7.37. 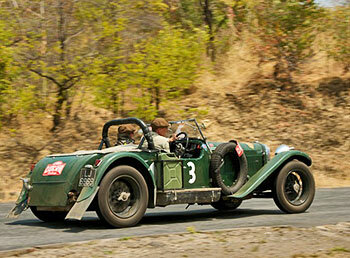 Geoff Dorey was fifth best in his Alfa, on 7.50, a time also shared by Joao Sardoeira’s Volvo 164. Another day today in bright sunshine with fascinating roads lined by friendly people – our only worries have been coping with a national fuel shortage. Today: A very long day today - some 600kms deep into Malawi, first stop: A long lunch by the pool of a hotel at Llilongwe, then a press-on section on good roads into Blantyre, with some scraping in just as it began to get dark. The sad news is that we have heard that Martti and Pirkko Kiikka from Finland in the silver Mercedes 280SL has been sidelined with what is suspected to be a broken valve spring, so will be missing the essential end of day Time Control, we hear that the police, no less, have provided the break-down service with a free tow into town! More worrying is the Rolls Royce Silver Dawn of Jorge Ruiz and Elvis Fogal have radiator problems, but are in safe hands. Also cooking an engine after a fan blade broke off and spun into the radiator was the Dutch crew in the white Mustang, Jan and Marion Van Gemert, who are still in the hotel back in Lilongwe, seeking repairs. Tomorrow, we cross the border into Mozambique, and then go to Gorongosa deep into the Mozambique bush for two nights of chilling out with a game drive or two in luxurious surroundings, and before we get back to the driving again we are to fly off to an island in the Indian Ocean, for the food and the beach of Indigo Bay Lodge on Bazaruto Island.... so nothing from your scribes for the next five days is to be considered perfectly normal.